To rule the high-end smartphone market, Microsoft soon going to launch it’s windows 10 powered smartphone, the all new Microsoft Lumia 840 and Lumia 940. According to leaks, Microsoft Lumia 840 codenamed “Talkman” Lumia 940 codenamed “Cityman” featuring Windows 10 will launch by Q3 2015. 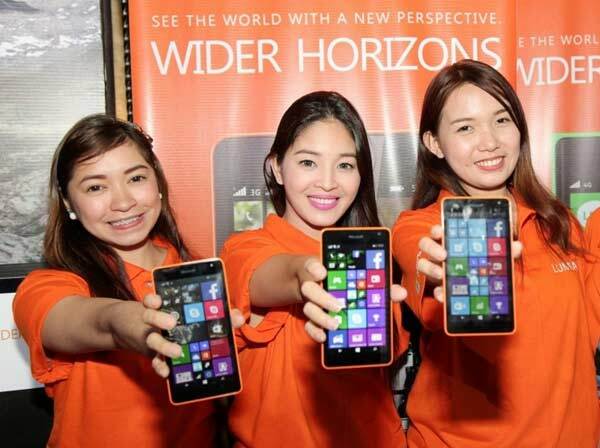 Microsoft Lumia 840 and Lumia 940 expected to be priced under Rs 40,000. According to leaks, The all new Microsoft Lumia 840 comes with Single SIM and Dual-SIM Variant supports 4G LTE 3G, Wi-Fi, GPS and Bluetooth offers you a 5.2-inch qHD(1920 x 1080 pixels) IPS LCD display with Corning Gorilla Glass 4, Sunlight readability enhancements offers you crystal clear view from every angle perfect for watching movies, video and playing games. Microsoft Lumia 840 will run on Windows 10 OS with Lumia Denim update and powered by a 2.7GHz, Hexa-core Qualcomm Snapdragon 808 SoC with 3GB RAM for superior multitasking and 32GB, 64GB and 128GB storage internal memory and 128GB expandable memory which is enough to store your favourite songs, movies, games and apps. Microsoft Lumia 840 will sport a huge 20-MP rear PureView camera with new triple LED Flash for shooting and a 5-MP front facing camera for clicking selfies and video call packed with 3000mAh battery with power saving mode and wireless charging measures 137 x 71 x 8.9mm and weight 146gm. Microsoft recently launched all new Microsoft Lumia 640 price of EUR 139 (Approx. Rs. 9,600) for 3G variant, the LTE model for EUR 159 (Approx. Rs. 11,000). Micromax Lumia 640 XL at EUR 189 (Approx. Rs. 13,000) for 3G model and LTE Model for EUR 219 (Approx. Rs. 15,150). At last few honest word, the all new Microsoft Lumia 840 is coming to change your life. What you think? Please be stay tuned for more updates.